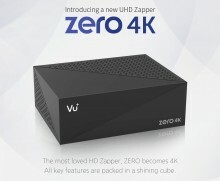 Vu Plus Zero 4K - The most loved Vu+ HD Zapper now becomes 4K. All key features packed in a shiny cube! The most affordable DVB-S2X UHD Zapper ever! The Vu+ Zero 4K is an affordable 4K UHD entry-level receiver. For the first time the Vu+ Zero 4K sports an S2X tuner meaning it is ready prepared for the future and can tune to all SD, HD, UHD and mutlistream channels. At the heart of the Vu+ Zero 4K is the 2x1.500 MHz ARM DualCore processor. 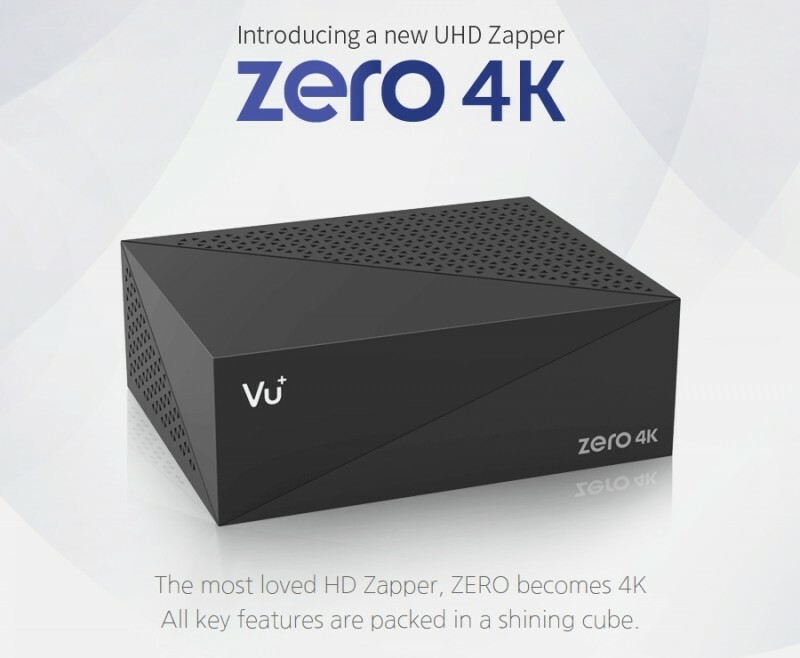 Experience UltraHighDefinition (UHD) TV with the VU + Zero 4K set-top box. Click the button below to add the Vu+ Zero 4K DVB-S2X Multistream Tuner UHD 2160p Linux PVR Ready to your wish list.